That is a great shot with the contrast of the snow and the sky! sadly, our snow is long gone here now. WOW. I love that the perspective of the shot leaves the viewer guessing at the size of the art piece. I can't tell at all how large/small it is. Love that. It really was shot from an unusual perspective (a path on the lower level). 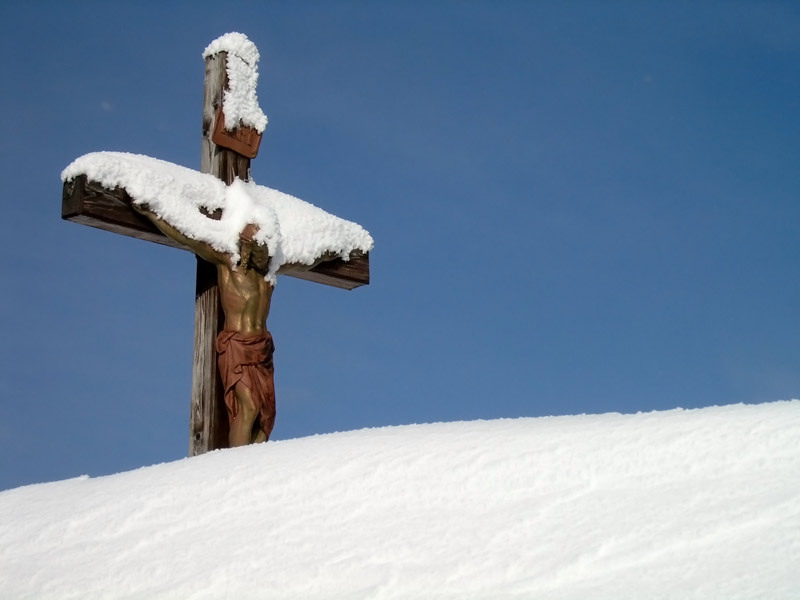 The cross is well over 2 meters high, but it was in deep snow at that moment. Only tops of the highest headstones were visible on that graveyard. Everything else was covered in snow. Quite an interesting sight, really.